When a government justifies environmental ‘sacrifice’ for ‘development’ purposes, it is not answering: whose development, at whose cost? On October 28, in his ‘Mann ki Baat’ broadcast, Prime Minister Narendra Modi praised Adivasis and their fight for rights. He said that India’s foremost freedom fighters were tribals, and recalled Adivasi heroes like Birsa Munda. Touching. Anyone listening would be moved by the homage to India’s oldest communities. Until you hear how, three days later, he unveiled the Sardar Patel statue in Gujarat, for whose land acquisition and resource use, the livelihoods of 70 Adivasi nearby villages were compromised. They boycotted the ceremony and held a bandh. 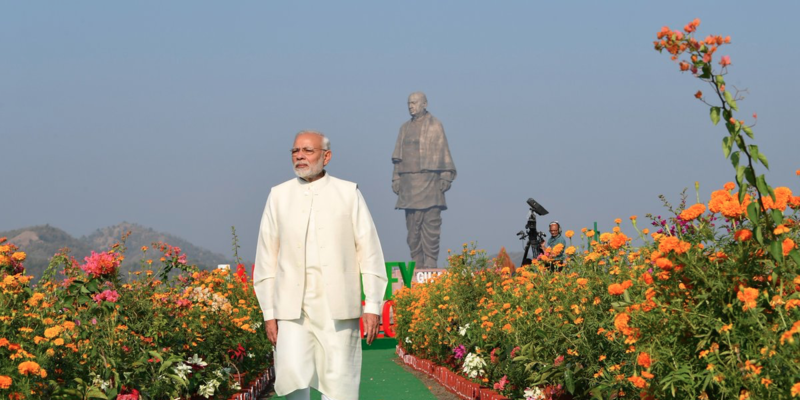 To add to the irony, the statue is built on an island in the Narmada river, downstream of the Sardar Sarovar Project dam. Pushed by Modi first as chief minister and then as prime minister, the dam is responsible for the displacement and dispossession of several thousand more adivasis. As Narmada Bachao Andolan’s Medha Patkar asked in an open letter to Sardar Patel on the day of the unveiling, would the Sardar have condoned such injustice? A month earlier, the United Nations conferred the Champion of the Earth Award on Modi and French President Emmanuel Macron, citing their International Solar Alliance, and Modi’s push to eliminate single-use plastic. India’s recent enhancement of solar energy, and actions on some kinds of plastic, are indeed welcome. But what these hide is a much bigger pushback on environmental safeguards by the BJP government. Attempts to weaken several crucial institutional structures, such as the National Green Tribunal (indications are that if BJP had its way, it would have shut the Tribunal down by now). One can add more examples. One of the government’s brainchildren is the Sagarmala project. Much like the inland River Linking scheme (to which the Congress was also a party), this project too will be ecologically and socially disastrous, threatening coastal ecosystems and dispossessing fisher communities. Meanwhile, BJP’s favourite river, the Ganga, faces an even higher pollution load than it did in 2014, despite some 4,000 crores spent ostensibly for cleaning it up. And much of the celebrated solar push is from mega projects, by big corporations, with their own serious social and ecological costs, rather than decentralised energy production recommended by environmentalists and many energy experts. In countries like India, the natural environment is the daily lifeline of the majority of its population: forest-dwellers, fishers, farmers, craftspersons, pastoralists, urban poor. So when a government justifies environmental ‘sacrifice’ for ‘development’ purposes, it is not answering: whose development, at whose cost? This is consistently ignored by politicians and economists sitting in Delhi. Oxfam’s latest report Reward Work Not Wealth shows that 1% of India’s population owns about 60% of its private wealth, and that in 2017 the wealth of India’s richest 1% increased by over Rs 20.9 lakh crore, equivalent to total central budget in 2017–18! Inequality is steadily growing; such ‘development’ has fattened the rich, at the cost of the poor. At the same time, the three-decade old phenomenon of ‘jobless growth’ has intensified, according to Azim Premji University’s State of Working India 2018. Much of the wealth generated by rapid growth, has simply bypassed over 90% of its workforce stuck in the informal economy. The BJP has made it worse; demonetisation has led to the loss of 3.5 million jobs, according to the Centre for Monitoring Indian Economy. Meanwhile crony capitalism continues, with the government bending over backward to excuse the enormous debt that corporations (including Adani, Tata, Essar) owe to public sector banks; and new scams like crop insurance (favouring Reliance) coming to light. It is therefore no surprise that large sections of the dispossessed are in agitation mode. The last year has seen several mass protests against anti-poor policies: 30,000 farmers marching into Mumbai in March; 1.5 lakh farmers and workers in a Kisan Mazdoor Sangharsh rally to Delhi in September; thousands more joining rallies under the auspices of Ekta Parishad and Samvidhan Samman Yatra of National Alliance of People’s Movements; and one lakh participants of a pan-Indian coalition of farmer movements are expected to demonstrate in Delhi in end-November. Dalit movements have upped the protest against horrendous attacks on them in the name of the cow, as they find themselves still at the bottom rungs of a religion-ordained hierarchy. In Karnataka and elsewhere, craftspersons have held satyagrahas, protesting the imposition of GST on already fragile livelihoods. Though Modi was able to push through the Statue of Unity, his even more wasteful project, the Bullet Train (estimated to cost as much as the total 2017 Railways Ministry outlay), is facing opposition from over 1,000 farmers who have gone to court against the acquisition of their land. If this mass discontent is not resulting in rebellions to overthrow a blatantly pro-rich and anti-poor state, it is because we are not yet seeing common cause. And we have all been seduced by a superficial model of democracy, believing that it’s all about voting the ‘right’ party into power, rather than exercising power in our own local communities and collectives. But even the partial democracy we have is currently under threat. 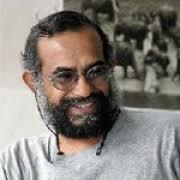 Organisations like INSAF, Hazards Centre, Greenpeace India, Amnesty, and several individual activists, advocates, academics have been targeted because they ask uncomfortable questions. New terms like ‘urban Naxals’ get coined to give legitimacy to this witch-hunt. In May the University Grants Commission told universities that academics in public funded institutions are subject to rules applying to government servants, which means they cannot criticise state policy. The Centre has written to all states to track NGOs that indulge in ‘anti-national’ (a euphemism for any form of dissenting) activities. Virtually all spaces where civil society could participate in the state, such as expert committees or planning bodies, have been shut off, or filled with ‘yes-men’ (yes, mostly men) who won’t dissent. And Prime Minster Narendra Modi has perfected the art of encouraging all this by keeping silent, including on some of the most horrendous crimes against women, Dalits and Muslims. The above is not an argument in favour of other major opposition parties. When it comes to blind faith in economic growth, ignoring environmental and human rights concerns, there is not so much to distinguish them from each other. But the toxic combination of ecologically illiterate decisions, authoritarian and anti-democratic steps, and communal politics that the BJP has displayed in the last four years, may be unprecedented. If the BJP comes back to power in 2019 and does not change its spots, we are in for a period that may surpass the harrowing couple of years of the Emergency in the 1970s, pushing India into dangerous waves of internal conflict, division and suffering. People’s movements and all those who care for fundamental democratic freedoms, peace, and a healthy environment – including youth, particularly the youth – need to gather forces to safeguard the fundamental values our constitution is premised on.